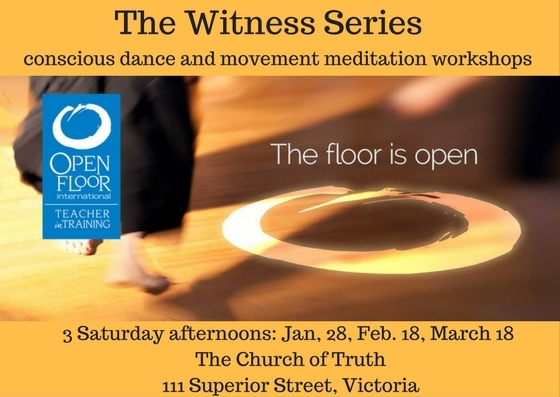 Therapy in Motion is a conscious movement and dance exploration that accesses the body as a gateway to healing. Using music, inquiry and imagery, it taps into our intuitive wisdom to dissolve blocks, trauma, and barriers. As we engage the body-mind, insights emerge and we are freed from our repetitive stories and patterns. Transformation can be rapid, profound and enduring. Join a supportive, small group for this unique therapeutic process. 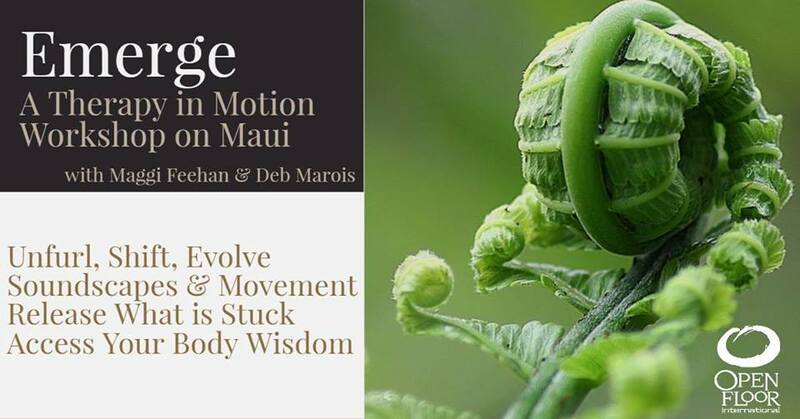 Deb Marois, MS, blends her proficiency as a community builder and group facilitator with her love of conscious dance to offer a unique, interdisciplinary Open Floor experience. Currently she resides in Sacramento, CA and aspires to live on Maui. When one heals, we all heal. This is a circle for women to share healing, growth and connection. As alone as we often feel, our hurt is shared by many others. This is an opportunity to engage in a therapeutic process in a supportive, small group. Maximum 6 participants. A short interview is necessary prior to registration. 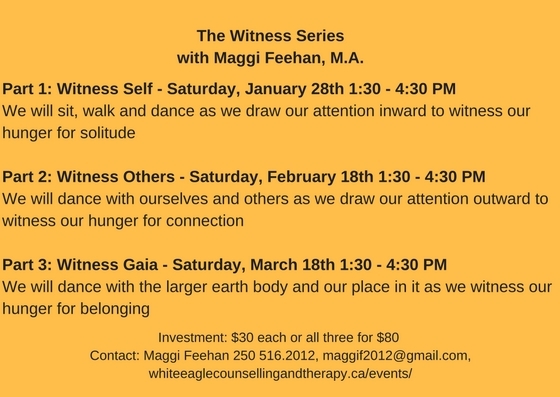 This 3-part series is an opportunity to sit, dance, move, witness and reflect on yourself, others and the planet. Using sparse facilitation, I will lead you on a journey of witnessing and self-discovery. Come with an open mind, loose clothes, a water bottle and let’s witness together. The written word moves from our imagination to the page in a silent process with its own codes and pleasures. The spoken word is expressed publically, allowing us to hear ourselves, to ride the rhythm. For some, this bridge between the written and the spoken word can be fascinating and fun, while for others it may be vulnerable and frightening. Becoming the Word invites you to be curious and explore how you open and close to the movements and shapes that your words may take. Through explorations in vocal improvisation, sensuous language, witnessing ourselves and others, playing with rhythm, following the lead of our bodies, we allow the words that only we can offer in the moment, to move and flow through us. Come with a writing inspiration to explore with the aid of your body. This could be from a work in progress, a line from a long time ago that lingers and lulls you, a poem that has burst forth, or a story that can be told only by you. 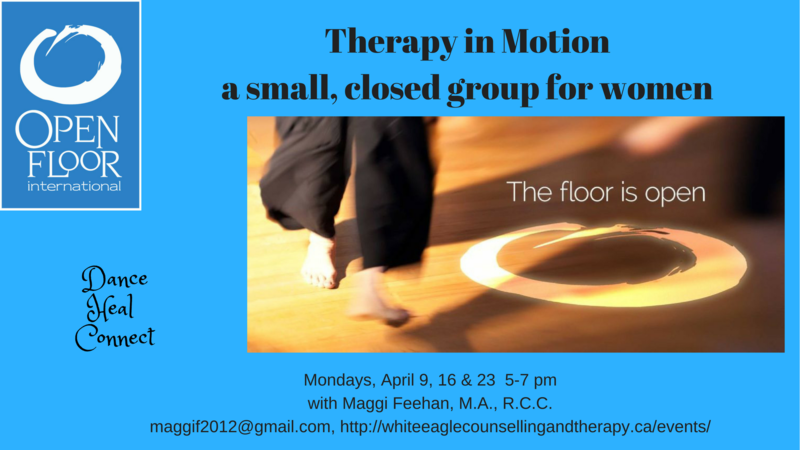 Maggi Feehan (MA) is a Counsellor and is currently in training with Open Floor International. She is the author of The Serpent’s Veil (Thistledown Press). Kim Goodliffe (MFA) is a VoiceWorks teacher from the SoundBody Studio (Victoria, BC) and the author of Lowballer (Demeter Press). We invite you to find nourishment through dance, breathwork, movement and easy sound play. Couch potatoes and dancers, shy mice and divas are all welcome! We ask you to show up as you are, amuse yourself, fool around, and fall in love with the magic of improvised songs, languages, stories and movement. (Silence, stillness and rest are always an option, friends.) We will explore our ancestral connections – Who are our ancestors? What do they have to offer us? How can we learn to sense and trust their presence in our lives? Please dress in layers, bring a water bottle and leave behind your fragrances. White Eagle Counselling and Therapy provides counselling and therapy services in a supportive and caring environment for anyone facing difficult challenges and looking for a fresh start.